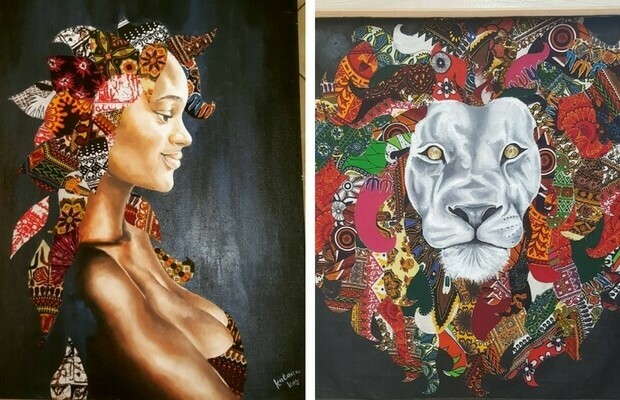 Katanu Kay, the 19-year-old student artist from Kenya, is getting a lot of attention on Instagram with her beautiful pictures which celebrate the spirit of Africa. The pictures on Instagram are also for sale so besides the attention and increasing number of followers her artwork is also getting more and more customers who are making a purchase. As you can see from photos in the gallery Katanu is very talented when it comes to painting. 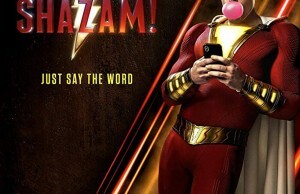 But what really impressed the Instagram users and cause the enormous interest is when she started using African fabrics to complete the pictures. 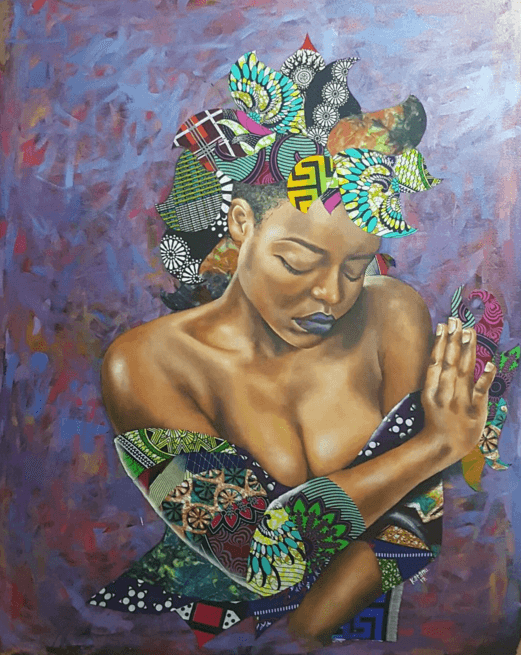 Lively colors and interesting patterns of African fabrics that she uses really portrayed nicely the spirit of Africa. In combination with Kanu paintings and drawings, they become interesting collages that are hard to resist. 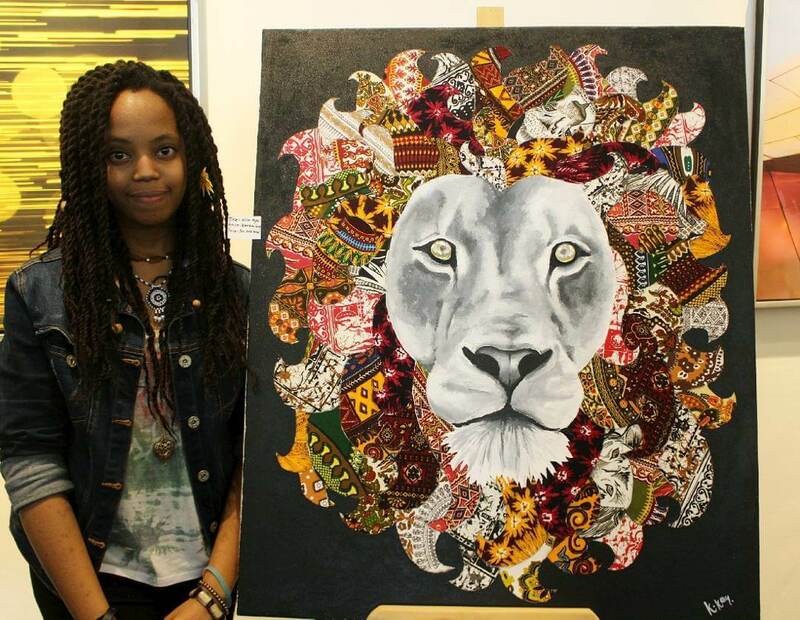 Beautiful young women of Africa and lions are most often the subjects of Katanu’s beautiful artwork. 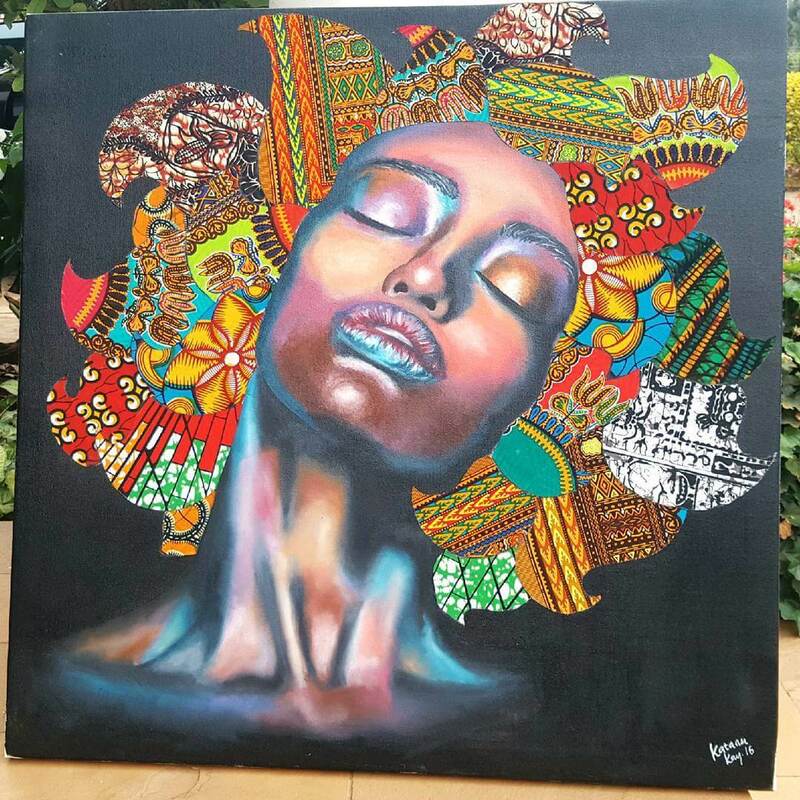 Kantu’s artworks have granted her entry into various art exhibitions in Nairobi, such as The dusitD2 Nairobi Art Gallery and the Nairobi Art Buyers Weekend. 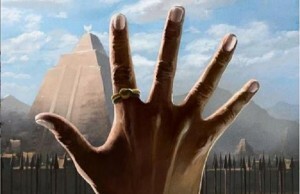 Also, they’re attracting admirers and buyers from all over the world. 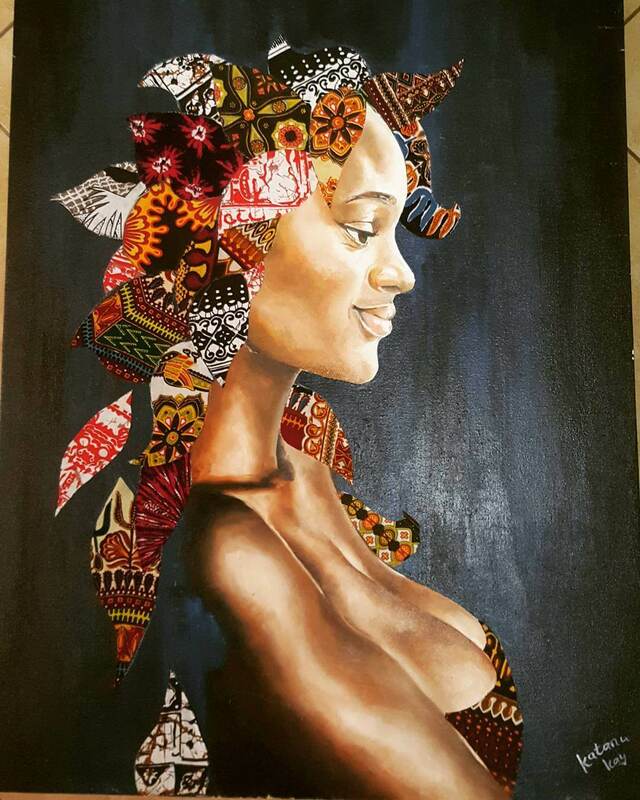 Take your time to enjoy the spirit of Africa through Katanu’s paintings and make sure to follow her on Instagram. 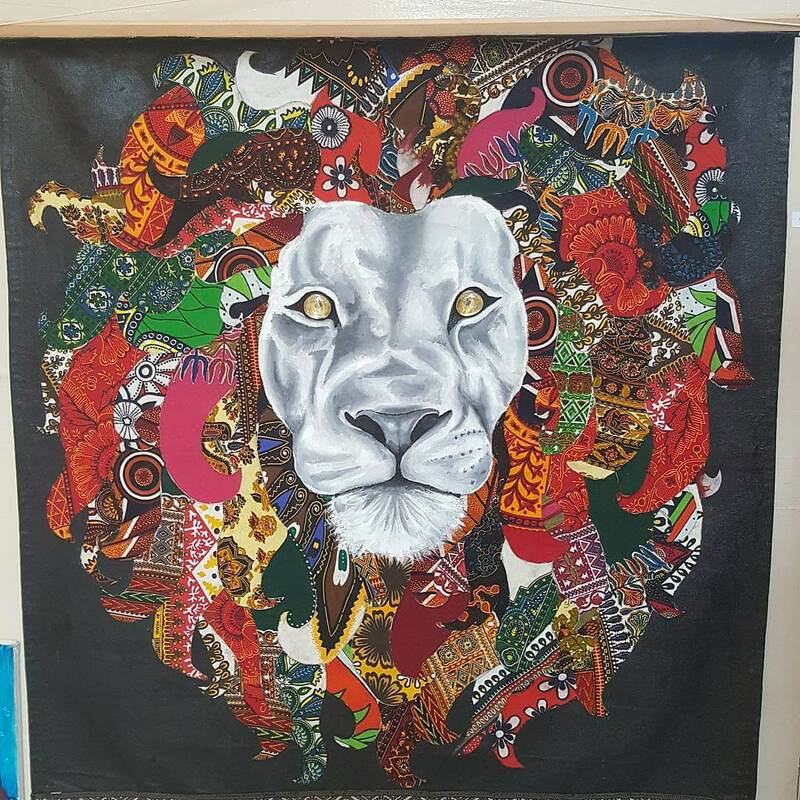 Portrait of a lion made of a combination of painting and incorporated African fabrics. 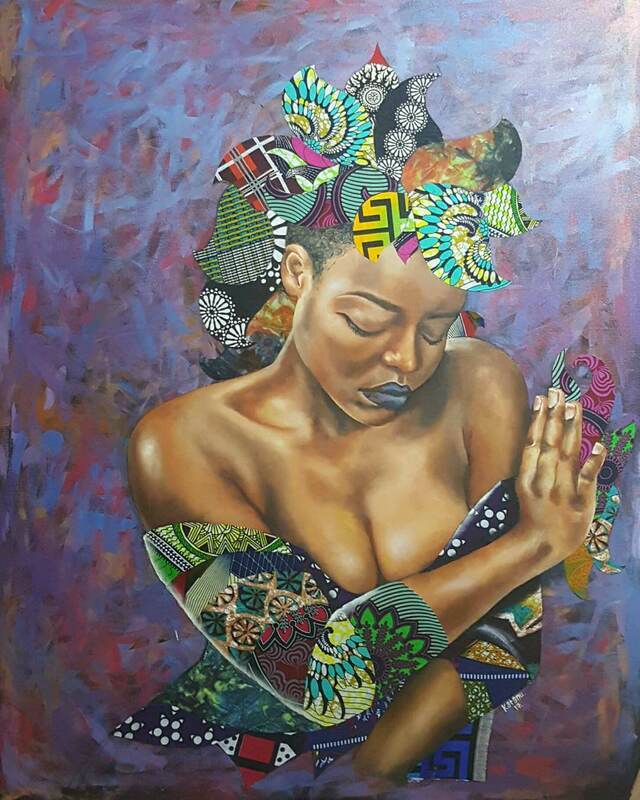 Lively colors and interesting patterns of African fabrics that she uses really portrayed nicely the spirit of Africa. Katanu’s artwork is attracting admirers and buyers from all over the world. She is selling her work through Instagram where you can see the price of every piece. 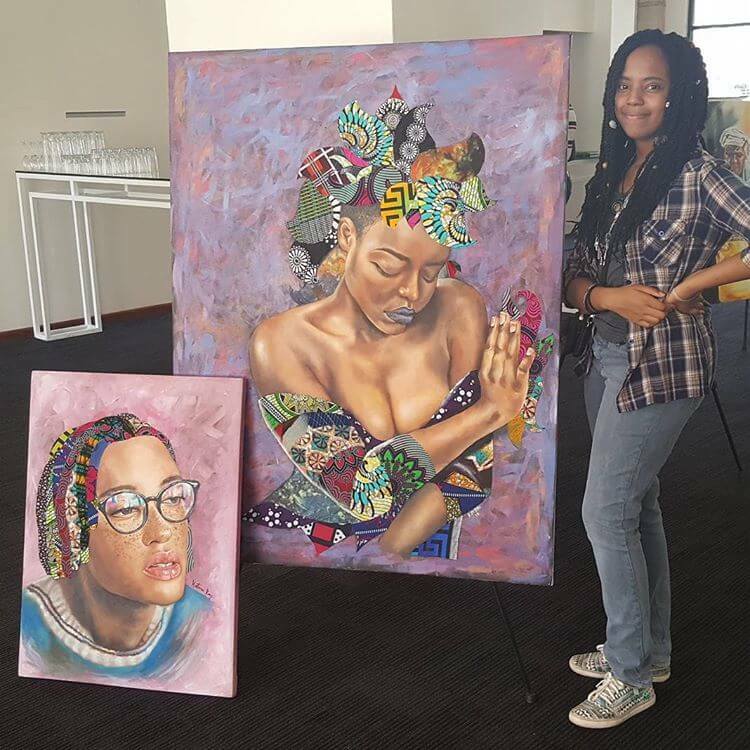 The artist posing beside of one of her beautiful works. Make sure to follow Katanu Kay on Instagram. Share the art, the world need it!